Yesterday I posted the first part of this series, which featured the fashion items and random bits that I'm bringing with me to the seaside. 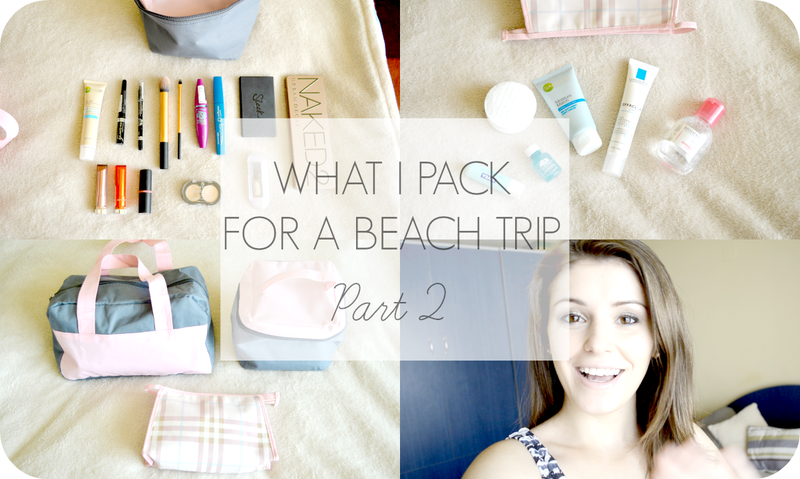 In this post I'll be sharing the beauty products that I'm taking along. Face: Garnier BB Cream, Sleek Face Form Palette, Essence Match2Cover Concealer, Real Techniques brushes (detailer & contour one). Eyes: Naked 2 Palette, Essence Eyebrow kit, Rimmel black eyeliner & liquid liner, Maybelline The Falsies Mascara, Oriflame Waterproof mascara. Lips: Maybelline Color Whisper in "Bare to Be Bold" & "Coral Ambition", Essence Natural Beauty Lipstick. 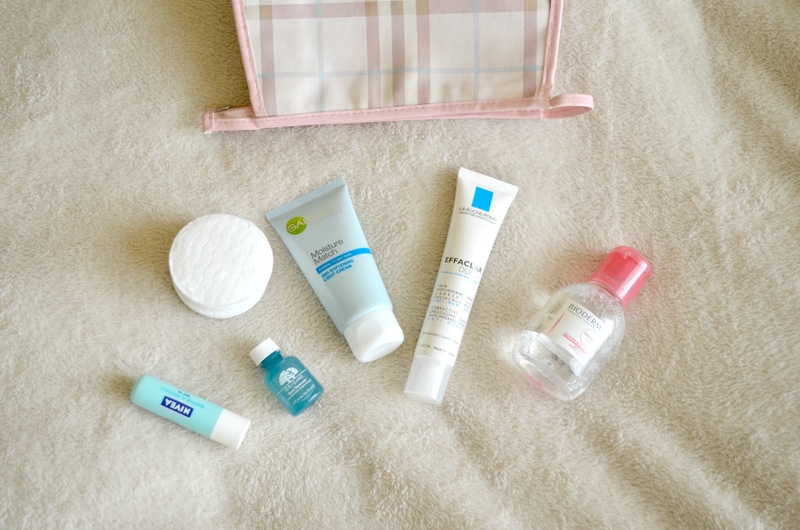 Bioderma Micellar Water, La Roche Posay Effaclar Duo, Garnier Moisture Match, Origins Spot Remover Treatment, Nivea Lip Balm. If you'd like to see more, you can watch the full video here. Hope you enjoyed this! 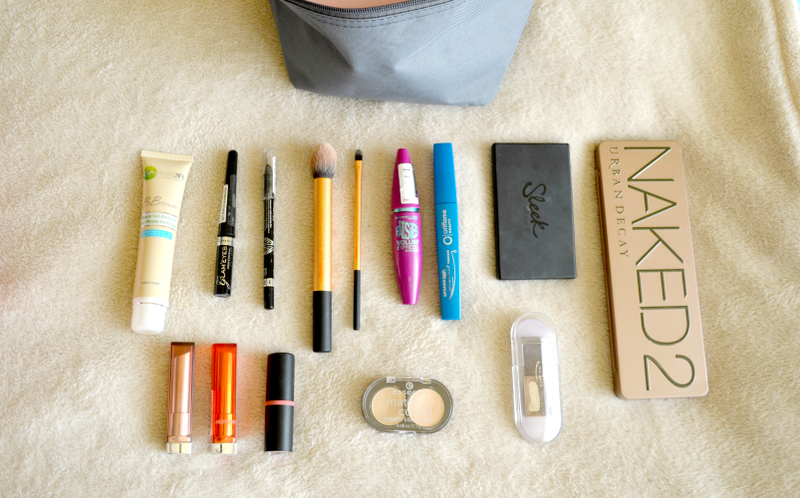 What are some of your staples when travelling?